In a move that could benefit universities and businesses, Yahoo has officially acquired online collaboration suite Zimbra for $350 million (£175m), the two companies announced in the US yesterday. 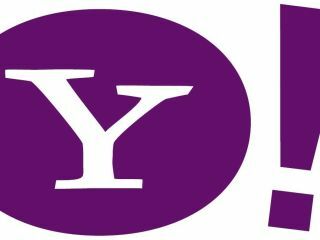 In a statement, Yahoo said its aim was to expand its footprint in universities, businesses and through internet service providers, and that Zimbra would help it achieve that. "Zimbra's tremendous talent and innovative technology will help to extend our core mail offerings, further strengthening our strong leadership position in this space," said Yahoo CEO Jerry Yang yesterday. "Additionally, Zimbra's successful relationships with large ISPs are key as we expand our worldwide partner network and continue to focus on our commitment to being the partner of choice." Zimbra currently offers open source email, calendar and contact management solutions that can be accessed both online and off. More so than consumers, Zimbra focuses on small businesses and educational institutions that are looking for alternatives to the popular Microsoft and Google offerings. As part of its efforts to appeal to businesses, Zimbra encouraged users to create 'Zimlets', which operate like widgets in that they effectively sync information from other web services into Zimbra's suite. The created Zimlets are customised and strewn throughout the suite to make information more readily available. Yahoo's decision to acquire Zimbra was obviously the result of Google's recent success with its own online suite of programs. But Yahoo has a long way to go if it is to compete with the Google juggernaut.